What do I want to measure? This is the most basic question that you may want to ask yourself before choosing any measuring system. There are many instruments available which are capable of measuring both single electric parameter, as well as all multiple electric parameters. Depending on what you want to measure, choose your measuring instruments accordingly. For example, if the electric equipment is working on a single phase, instrument that measures single electric parameter such as the voltage, or current, or phase angle, or frequency will serve the purpose. On the other hand, if you want to measure multiple electric parameters, multifunctional measuring instrument is to be embedded into the electrical system, which is capable of measuring all of the electrical parameters. In case, you want to measure energy consumption as well, instruments that can measure active and reactive energy are also available in the market. Hence, depending on what you want to measure and how many parameters you want to measure, you can choose your measuring system accordingly. Measuring instruments are available in both analog and digital versions. Now, which one to choose? Answer to this question largely depends on the type of the distribution system being used. If the distribution system in use is a –phase one, both analog and digital instruments can be equally effective. 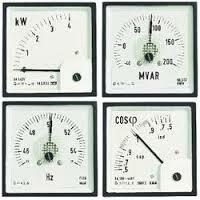 In case of a three phase distribution system, analog instruments can be more effective. The reason is, mechanical inertia of the needle in analog instruments is far more sensitive and helps indicate the parameters more effectively compared to digital instruments. Analog instruments also help us understand, if the equipment is working normally, and if the readings are on-scale. However, digital instruments are easy to use and note the readings even in poor light. In order to find out the size of the measuring system that needs to be installed, you need to know the number of CTs and VTs that are required in installing the measuring system. And to know this, you need to understand the parameters of the electrical system for which you are going to install the measuring system. 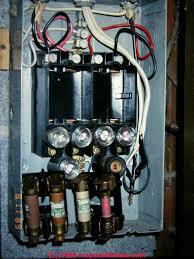 These parameters include type of protection switch, distribution system type, rated voltage and current, and bar type. If you have decided to measure the electric parameters of an electrical system through indirect insertion, enough care should be taken while choosing accessories of the measuring instrument, such as CTs and VTs and their characteristics. Understanding cabling and wiring diagrams will also help you choose a better measuring system. Unlike digital instruments, analog instruments are very easy to connect. In fact they need to be only connected to a phase and neutral cable to get the reading. However, at least two auxiliary cables are required to connect a digital measuring instrument to the electrical system. Note: In order to use multifunctional measuring instruments in a neutral three phase distribution system, three current transformers are required. However, only two CTs are enough to connect multifunctional measuring instruments in a non-neutral three phase distribution system. For measuring instruments to function properly, one should see that the electrical system, for which measurements are to be taken, is properly protected with fuses to avoid any voltage spikes. 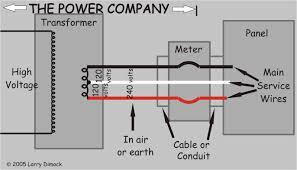 Care should also be taken to ensure that the electrical system is properly earthed by checking the earthing connections of the secondary windings of the current transformers. 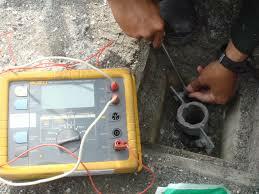 This ensures that the measurements are not affected even when the current transformer develops a fault current. Above mentioned are some of the most important tips that can help you select and install a good measuring system for a given electrical arrangement. Hope this article will be helpful for all those electrical engineers working on measurement systems. What do you think of these 5 tips? Do you have more to add? or copy this trackback: http://engineering.electrical-equipment.org/energy-efficiency-building/how-to-install-a-good-measuring-system.html/trackback from your own site. 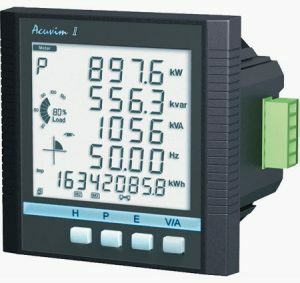 I believe you missed to include the meter “Impedance”, a very important factor that must always need to be considered, in AC as well as in DC, as it affect the accuracy of measured parameters..